Peep the ‘Kong Skull Island’ Trailer Here For The First Time!!!! If you’ve ever wondered what the origins of King Kong are, this is the film you need to see. It has a crazy hot cast consisting of Brie Larson, Tom Hiddleston, Toby Kebbell, Samuel L. Jackson, John Goodman, Corey Hawkins and John C. Reilly and comes to theaters March 10, 2017. 4K UHD Reivew: Kong: Skull Island! Film Review: ‘Kong: Skull Island’! 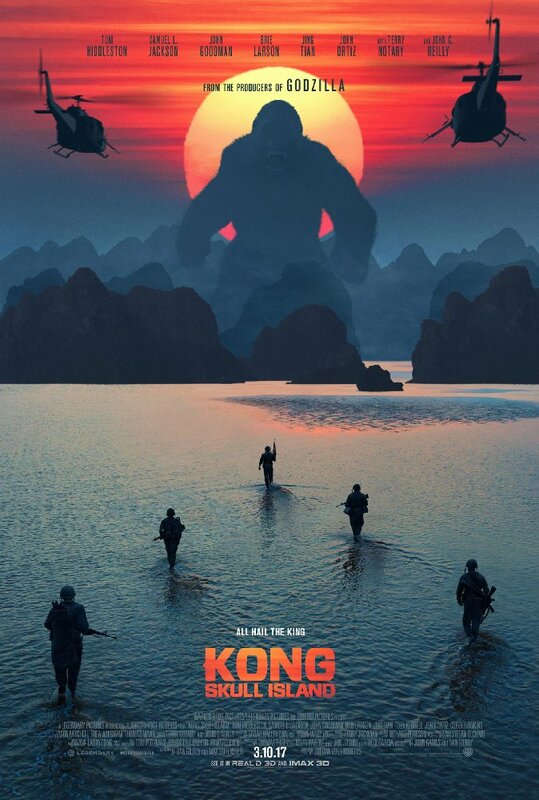 Straight From Comic-Con – ‘Kong: Skull Island’ Trailer!!! Film Review #2: ‘Kong: Skull Island’! This entry was posted on Thursday, November 17th, 2016 at 5:45 pm	and is filed under Film, News. You can follow any responses to this entry through the RSS 2.0 feed. You can skip to the end and leave a response. Pinging is currently not allowed. « ‘Deepwater Horizon’ Comes To Blu-ray and Digital HD!!! So where are you headin'?